Flex is a viable post-op/functional rehab solution offering more versatility in both shape and function than most other options. 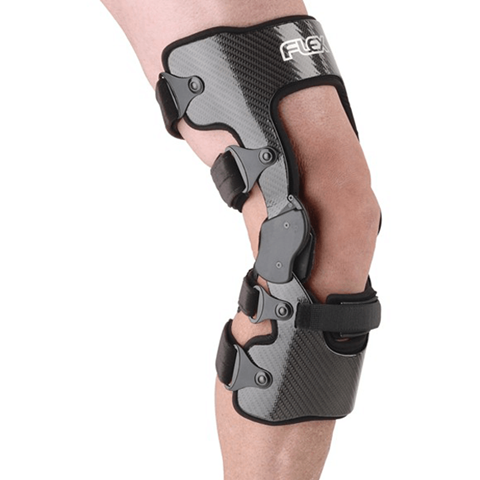 Its heat-moldable, carbon composite frame accommodates edema and/or changes in leg shape during recovery from surgery, while its Accutrac® range-of-motion hinges provide flexion and extension control. Gel Fit™ condylar pads improve suspension and are comfortable for tender knees recovering from trauma.